Why Add Linen Roll Towel to Your List of Janitorial Supplies? What Makes Work Gloves Essential Safety Supplies? 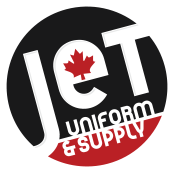 JET (formerly QuatroTec) supplies Trican with coverall cleaning pick-up and mending and also our in-house janitor supplies (paper towel, soap, etc). I have been very happy with both services and they are always willing to help with any problems that may occur.